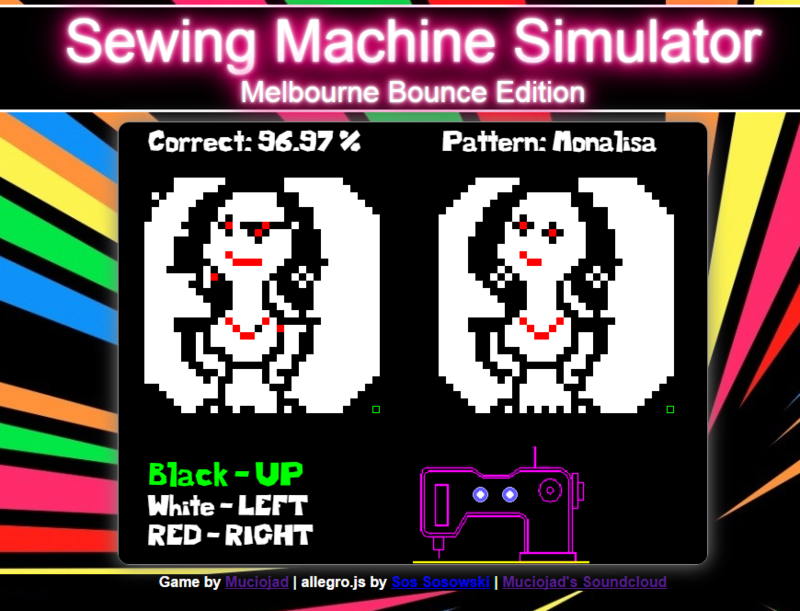 Sewing machine + EDM Melbourne Bounce. SMS2016 is - as name says - sewing machine simulator. Use [LEFT][UP][RIGHT] arrows to change color of thread. Do it before beat hit again and your thread'll go to next cell! 97.0 % is the minimum score you should have to pass.